Insisting that the earth and the universe are young, only 6,000 years old or so, does not make the biblical view popular in today’s enlightened “scientific” culture. It would be so easy just to go along with the view believed and followed by the overwhelming majority of scientists—and taught in nearly all universities and museums around the world—that the universe is 13–14 billion years old and the earth 4.5 billion years old. After all, many Christians and most scientists who are Christians believe in such a vast antiquity for the earth and universe. Consequently, they even insist the days in Genesis 1 were not literal days, but were countless millions of years long. Also, they claim the Genesis account of creation by God is just poetic and/or figurative, so it is not meant to be read as history. Why a Young Age for the Earth? 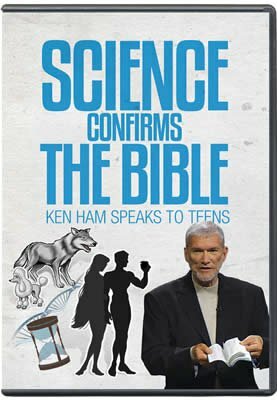 Of course, the reason for insisting on a young earth and universe is because other biblical authors took Genesis as literal history and an eyewitness account provided and guaranteed accurate by the Creator Himself ( 2 Timothy 3:16a; 2 Peter 1:21 ). Jesus also took Genesis as literal history ( Mark 10:6–9; Matthew 19:4–5; Luke 17:27 ). So, the outcome of letting Scripture interpret Scripture is a young earth and universe. "The outcome of letting Scripture interpret Scripture is a young earth and universe." The Hebrew language and context used in Genesis 1 can only mean literal (24 hour) days.1 Furthermore, as history, the genealogies in Genesis 5 and 11 provide an accurate chronology, so that from the creation of the first man, Adam, to the present day is only about 6,000 years. Since the earth was only created five literal days before Adam, then on the authority of God’s Word, the earth is only about 6,000 years old. Nevertheless, most people, including Christians, would still claim dogmatically that the earth looks old. But why does the earth supposedly look old? And how old does the earth really look? If we rightly ask such questions, then we are likely to get closer to the right answers. The use of the word looks gives us the necessary clue to finding the answers. Looking at an object and making a judgment about it requires two operations by the observer. There is first the observation of the object with one’s eyes. Light impulses then go from the eyes to be processed by one’s brain. How one’s brain interprets what has been seen through one’s eyes is dependent on what information is already stored in the brain. Such information has been progressively acquired and stored in our brains since birth. So, for example, as a child we learn what a rock is by being shown a rock. We observe that a sandstone is made of sand cemented together, and we see a trilobite fossil inside the sandstone (figure 1), so we wonder how the trilobite came to be fossilized in the sandstone and how both the sandstone and the trilobite fossil formed. However, we never actually observed either the trilobite being buried by sand and fossilized or the deposition of the sand and its cementation into sandstone. 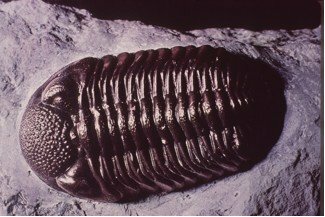 Therefore, we don’t really know how and when the trilobite fossil and the sandstone formed—so just by looking at them we really don’t know how old they are. How, then, can we work out how old they might be and how they formed? Because we can’t go back to the past, it seems logical to think in terms of what we see happening around us today—in the present. Today, rivers slowly erode land surfaces and gradually transport the sand downstream to their mouths where they build deltas. The sediments also are eventually spread gradually out on the seafloor, where bottom-dwelling creatures like trilobites could perhaps be occasionally buried and then fossilized. So with this apparently logical scenario in our minds, based on our everyday experience, when we look at that piece of sandstone with the trilobite fossil in it, it seems totally reasonable to conclude that, because it took such a long time to erode and transport the sand and then deposit it to bury and fossilize the trilobite, the sandstone and trilobite fossil must be very old. Perhaps they may even be millions of years old. However, it needs to be remembered that there are no particular intrinsic features of the sandstone and the trilobite fossil that are incontestably diagnostic of any supposed great age. The conclusion that they must be old wasn’t because they actually look old, but because it was assumed they took a long time to form based on present-day experience. First, it ignores the fact that we cannot go back to the past to actually verify by direct observations that vast, thick stacks of lava flows—and sandstones with trilobite fossils—took a long time to form millions of years ago. The inference that the present is the key to the past is only an assumption, not a fact. Second, that assumption deliberately ignores the fact that we do have direct eyewitnesses from the past who have told us what did happen to the earth and how old it really is. The Bible claims to be the communication to us of the Creator God who has always existed. Its authenticity is overwhelmingly verified by countless exactly fulfilled predictions, archeological and scientific evidences, corroborating eyewitness accounts, and the changed lives and testimonies of Bible-believing Christians. In Genesis 1–11 , it is revealed how to calculate the age of the earth, and how rock layers and fossils were rapidly and recently formed in the year-long, global, catastrophic Flood. Geologists are always studying present-day geological processes, including rare catastrophic events, such as floods, earthquakes, and violent volcanic eruptions. Such processes have been observed to produce and change geological features very rapidly; so geologists have learned not to ignore such currently rare catastrophic events when interpreting how the earth’s features were produced in the past. Further examples of why most people think the earth looks old are river valleys and canyons. 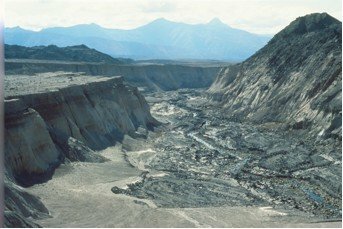 Because the rivers in most valleys and canyons today seem to only slowly and imperceptibly erode their channels, even during occasional floods, most people assume it must have taken millions of years to erode valleys and canyons. Figure 2. This canyon system, with 100-feet high cliffs, was eroded adjacent to Mount St. Helens in less than a day! In 2 Peter 3 , we read a prediction that Peter made around AD 62 that scoffers would arise who would challenge and deny that God created the earth and subsequently destroyed the earth by the cataclysmic global Flood. Peter says they would be “willingly ignorant” and deliberately reject the evidence for a created earth and the year-long global Flood. 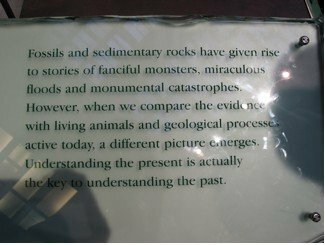 They would claim instead that the present is the key to the past, that present-day geological processes have always operated at today’s snail’s pace, and that they alone are necessary to explain how rock layers and fossils formed and how old the earth is. This is the belief that now underpins virtually all modern geological explanations about the earth and its rock layers. And it is a belief because it cannot be proved that only today’s geological processes can explain the earth’s history and determine its age. 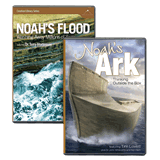 No one has ever observed past geological processes, except for God—and Noah and his family—during the Flood when these processes were definitely catastrophic on a global scale. Yet most people today, even Christians, have unwittingly imbibed this uniformitarian belief, having been brainwashed by the constant barrage of teaching globally over many decades by the world’s education systems (schools, colleges, and universities), museums, and media (newspapers, magazines, television, and even Hollywood). Indeed, most people automatically see the earth as old because they have accepted it is a proven scientific fact that it is old! However, based on the authority of God’s Word, we can dogmatically say they are absolutely wrong. 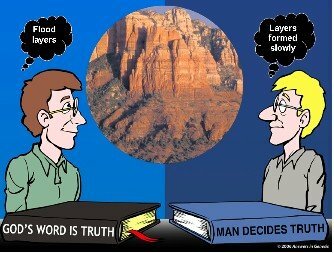 Looking at the world through “glasses” that are based on human reasoning alone (man’s word) makes people wrongly think the earth looks really old. On the other hand, when we as Christians see the world through the biblical “glasses” provided by God’s inerrant Word—so that we see the world as God sees it—we can assert unashamedly that the earth does not really look that old at all, being only about 6,000 years old (which, of course, is young). Indeed, the earth we see today is the way it looks because it is the destroyed remains of the original earth God created, still marred by the subsequent Curse. Furthermore, not only should we understand that the Bible provides the true history of the earth, but that history tells us the earth only looks the way it does today because of what happened in the past. In other words, the past is the key to the present! Paul, in 2 Corinthians 11:3 , warns us about the way Satan subtly beguiled the mind of Eve in the Garden of Eden by questioning and twisting God’s Word. Today, Satan has subtly beguiled so many people, including Christians, by twisting the clear testimony of God’s Word that “the past is the key to the present” into “the present is the key to the past.” And just as he used the appealing look of the fruit on that tree to entice Eve, so he uses the snail’s pace of geological processes today to make people doubt or deny what God has told us about the young age of the earth and His eyewitness account of the formation of the rock layers and fossils. It also must be emphasized that even though we must trust God and His Word by faith alone ( Hebrews 11:3 ), it is neither an unreasonable nor a subjective faith. This is because God is not a man that He should lie, so the evidence we see in God’s world will always ultimately be consistent with what we read in God’s Word. Thus, when we put on our biblical “glasses,” we should be able to immediately see and recognize the overwhelming evidence that the earth looks (and is) young and that the earth’s fossil-bearing rock layers are a product of the catastrophic global Flood. After all, if the Genesis Flood really did occur, what evidence would we look for? Genesis 7 says all the high hills and mountains under the whole heaven were covered by the water from the fountains of the great deep and the global torrential rainfall so that all land-dwelling, air-breathing creatures not on the Ark perished. Wouldn’t we, therefore, expect to find the remains of billions of plants and creatures buried in rock layers rapidly laid down by water all around the earth? Yes, of course! And that’s exactly what we find—billions of rapidly buried fossils in rock layers up on the continents, rapidly deposited by the ocean waters rising up and over the continents all around the earth. This confirms that the rocks and fossils aren’t millions of years old—and neither is the earth. So how old does the earth look? If we look at the earth through the “glasses” of human reasoning—that only snail-paced present geological processes can explain the past—then the earth does indeed look old. However, that autonomous human reasoning blatantly denies what God’s Word clearly tells us about the true age of the God-created earth and about what happened in the recent past during the cataclysmic global Flood, which is the key to understanding why the earth looks the way it does today. Previous Chapter What About Cloning and Stem Cells? Next Chapter Does Evolution Have a . . . Chance? S.W. Boyd, “Statistical Determination of Genre in Biblical Hebrew: Evidence for an Historical Reading of Genesis 1:1–2:3,” Radioisotopes and the Age of the Earth: Results of a Young-Earth Creationist Research Initiative, L. Vardiman, A.A. Snelling, and E.F. Chaffin, eds. (El Cajon, CA: Institute for Creation Research and Chino Valley, AZ: Creation Research Society, 2005), pp. 631–734. S.A. Austin, “Interpreting Strata of Grand Canyon,” Grand Canyon: Monument to Catastrophe, S.A. Austin, ed. (Santee, CA: Institute for Creation Research, 1994), pp. 21–56; A.A. Snelling, “The World’s a Graveyard,” Answers, April–June, pp. 76–79; J.H. 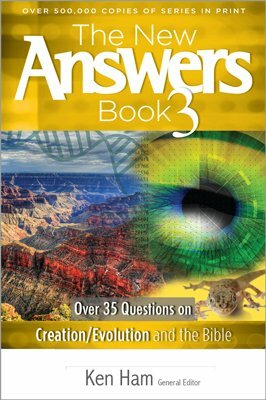 Whitmore, “Aren’t Millions of Years Required for Geological Processes?” The New Answers Book 2, Ken Ham, ed. (Green Forest, AR: Master Books, 2008), pp. 229–244. S.A. Austin, “Mount St. Helens and Catastrophism,” Proceedings of the First International Conference on Creationism, vol. 1 (Pittsburgh, PA: Creation Science Fellowship, 1986), pp. 3–9. A. Holmes, Principles of Physical Geology, second ed. (London: Thomas Nelson and Sons, 1965), pp. 43–44, 163. R.S. Porter, “Charles Lyell and the Principles of the History of Geology,” British Journal for the History of Science, IX, 32 no. 2 (1976): 91–103.